If you were to start a new country, one of the things you will have to consider is how the incoming tax dollars will be spent. A government should look at its Constitution and determine the areas that are clearly reserved for the Federal Government and then the leaders should determine what percentage of tax revenues should be allocated to each area. 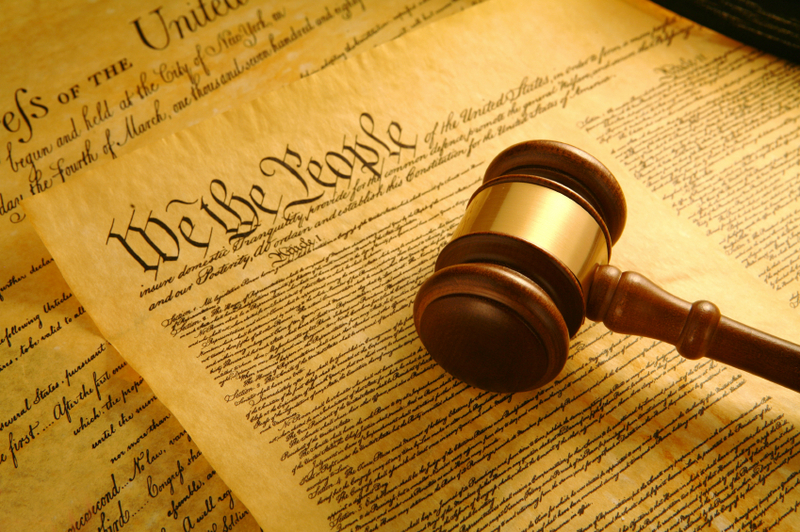 We the People of the United States, in order to form a more perfect Union, establish Justice, insure domestic Tranquility, provide for the common defense, promote the general Welfare and secure the Blessings of Liberty to ourselves and our Posterity, do ordain and establish this Constitution for the United States of America. Pensions – This is Social Security and is provided to our elderly to help them in their retirement. Health Care – This is comprised mainly of Medicare and Medicaid which helps those who are over the age of 65 or in lower income groups. Education – This provides student loans and helps with local education but the bulk of educational spending comes from State and Local governments. Defense – This provides for the “common defense” and represents our Military. Welfare – This includes aid to families who are in lower income groups as well as Unemployment Insurance for those out of work. Protection – This is comprised of Courts, Prisons and Federal Police. Transportation – This provides for infrastructure projects to provide for its citizens while they travel on ground, air and over water. General Government – This provides for the salaries of our government employees, lawmakers, etc. Other Spending – This captures all the other miscellaneous expenditures – Research, Agriculture, Forestry, Fishing, Hunting, Fuel, Energy, Pollution, Housing, etc. In case you haven’t figured it out, you come to a startling revelation when you total the amounts for Pension, Health Care and Welfare – They comprise 93.7% of total Tax revenue! Almost every dollar that the US government takes in gets transferred to people who don’t pay any Federal taxes (those receiving this aid are either poor, unemployed or retired and therefore pay no Federal Income tax). Let that sink in for a while. 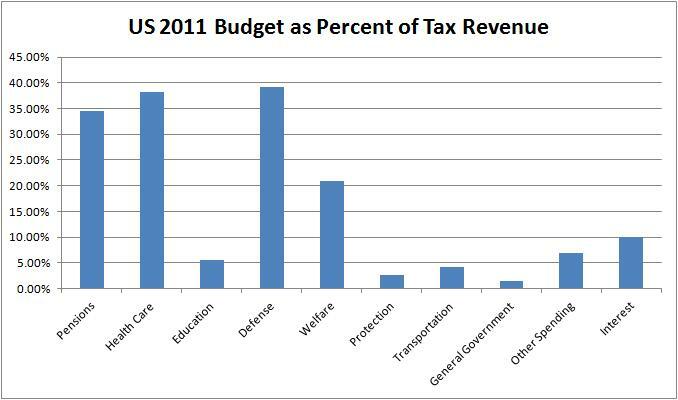 Almost every dollar that the US government takes in gets transferred to people who don’t pay taxes. From the latest IRS income tax revenue data, we can see that 51.8% of the total filers pay 98.2% of all the Federal Income Tax. This means roughly half of Americans work to pay benefits for the other 50%. Is that how we’d set up a country if we were to start over? In order to live up to our Constitution and “promote the general welfare”, we must take care of those who can’t take care of themselves but are we saying that we expect half of the American population can’t take care of themselves? Is this really how you’d set up a country if we had to do it all over again? This is no way to run a country and is exactly why many Euro-Socialist countries are failing and in some respects this is why the Roman Empire Fell. This entry was posted in Entitlement Programs, politics. Bookmark the permalink. 28 Responses to Is This How We Run a Country? You said: “we must take care of those who can’t take care of themselves but are we saying that we expect half of the American population can’t take care of themselves?” But this is a completely false interpretation of the facts. The fact that half of the population can’t afford to pay taxes does not equate to them not being able to take care of themselves. The majority of those do take care of themselves — barely. The issue is that they have no excess — not a single dime — with which to contribute to the pensions of others, health care for others, or the common defense. It is left to those who are more affluent and better rewarded to do so. Half of America is not poor. Let that sink in. Half of America is not poor. And if it were, would you really be arguing that America is great, and we should correct the system so that the poor have to work even harder and live on less? So your entire post falls apart. Your entire position collapses because you founded it on a strawman argument, the idea that since half of the population is barely able to live within their means and so cannot pay taxes that this somehow equates to the idea that all of the revenue collected from the haves is funneled to these have-nots. False. Reprehensible. And, I must say, it comes across as rather selfish and self-serving on your part. No, this is not a strawman argument. You can dance around it all you want but as I stated in the post above, almost 100% of all tax dollars collected go to help those who need Welfare, Medicare, Medicaid and Social Security in order to live. That means the income tax dollars collected from the top 50% get funneled to lower income Americans so they can live or “get by”. This is a fact and is pertinent to the question – Is this how you want the country to operate? Every dollar of taxes collected goes to fund social programs! Really? We have to borrow money from other countries to take care of the rest of our government outlays. It’s insane! Plus it is demoralizing to the people who get the aid and breeds a culture of dependence on the government. Hell, I think it is criminal for the government to treat people like slaves and tell them that they can’t do for themselves. That goes against our DNA and our basic human nature that was honed over millions of years of Evolution. And what will be the ratio in 10 more years? Will we have 25% of the people paying all the taxes? Eventually we’ll run out of people with jobs. We’ve created whole generations of Americans who are dependent on Government handouts. I’d rather empower these individuals and have them working and paying taxes themselves. If we weren’t spending all our tax dollars to help people live their lives then we’d have more money to spend on roads, provide for defense, fund research, cure diseases and pay off our debt. Face it, Liberal policies have failed in the exact manner that Conservatives said they would.